We take the vinyl floor installation process seriously and will make sure that the new floors in your Asheville, NC home are installed with precision. Vinyl Floor Installation in Asheville – If you want the vinyl floor installation process to go smoothly, letting us at Wright’s Carpet handle the job is the right way to go. 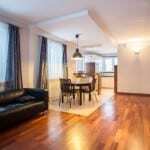 We have an extensive amount of experience installing vinyl flooring throughout the Asheville, North Carolina area and are confident that you will be satisfied with the quality of our work and our affordable pricing. Vinyl floors offer style, long lasting performance, and durability. 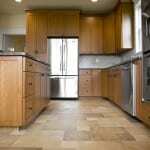 This type of flooring is also incredibly resistant to stains, scratches, and dents. In order to realize the benefits of having vinyl flooring in your home, it’s critical that the installation process is handled with care. At Wright’s Carpet, we take the vinyl floor installation process seriously and will make sure that your new floors are installed with precision. To make sure this happens, we carefully measure the size of the installation rooms, as well as the materials we use, before we even think about starting the actual installation. Then, we take the time to ensure that every new piece of vinyl fits perfectly and that gaps or imperfections do not exist between each piece. To get the vinyl floor installation process started, we encourage you to come in and visit our extensive showroom. Here, you will be able to find samples of the vinyl flooring we install and receive helpful advice from our friendly team members. If you have any questions about the types of vinyl flooring we install, or if you would like to receive a free estimate on installation, please don’t hesitate to contact us at Wright’s Carpet today. At Wright’s Carpet we offer quality vinyl floor installation for customers in Asheville, Swannanoa, Hendersonville and the surrounding areas of North Carolina!